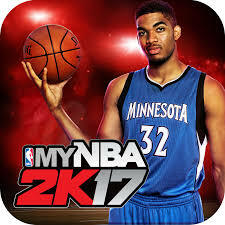 Featuring 2016 NBA Rookie of the Year Karl-Anthony Towns of the Minnesota Timberwolves as the games icon cover athlete this is the companion app for the NBA 2K franchise. This app contains the My Team Mobile card game where you basically pit your team against other players and their teams in a card battle that involves competing for cards, using strategy to figure out what the best matchups are and earning RP (Reward Points) and VC (Virtual Credits) in the process. You will also be able to compete in various tournaments.